Bonjour! Hope you all had a fabulous weekend! 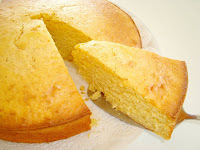 I started off my weekend by baking a clementine cake. I had never heard of any recipe that uses clementines, say for this one. Usually oranges or lemons are used. But I bought a bunch of clementines and I though it would be fun! Well there is not much to say about this cake because it tasted horribly! The flavor was incredibly bitter, it was only fit for the trashcan. I was thinking of not blogging about it, but then again, I want to warn you if you ever come across this recipe and think “that looks interesting, I’ll give it a try!” Rating: 0 out of 5 … ouch! 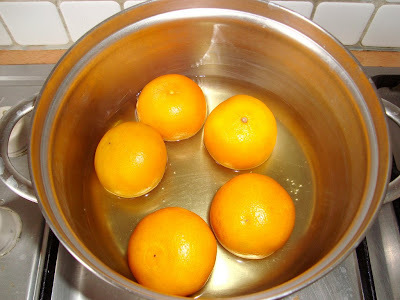 - Put the clementines in a pot with cold water to cover, bring to the boil, and cook for 2 hours. Drain and, when cool, cut each clementine in half and remove the seeds. Then finely chop the skins, pith, and fruit in the processor (or by hand, of course). - Preheat the oven to 375 degrees F. Butter and line an 8-inch springform pan with parchment paper. - Beat the eggs. Add the sugar, almonds, and baking powder. Mix well, adding the chopped clementines. I don't like using the processor for this, and frankly, you can't balk at a little light stirring. 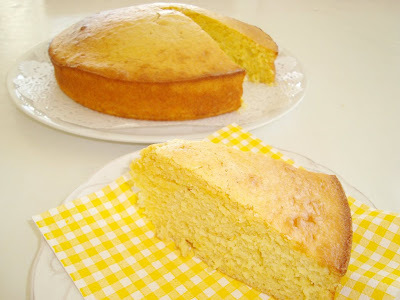 - Pour the cake mixture into the prepared pan and bake for 1 hour, when a skewer will come out clean; you'll probably have to cover the cake with foil after about 40 minutes to stop the top from burning. Remove from the oven and leave to cool, in the pan on a rack. When the cake is cold, you can take it out of the pan. I think this is better a day after it's made, but I don't complain about eating it anytime. The clementines need to cook for two hours, and after a while the water turns orange. Cake looks really great and recipe sound really interesting, too bad that it didn't teast good! So thanks for warning, I thing I'd be thinking about trying this recipe if I saw it! Oh no that's such a shame you didn't like it. Thanks for the warning though, I was just looking at this recipe the other day because I bought clementines too. It must be because the skins were being boiled which would make it very bitter, I would have boiled it with the skins off. Dare me to try it? lol. Pity ... looks nice. I don't think I've ever had clementine before?! Don't think I'll be rushing to try it either now!! What a pity! I hate it when a recipe doesn't work out - always feels like such a waste of time and money. Bummer! Thanks for letting us know to steer clear of this recipe. Sorry to hear that the cake was not good. @Claudia: That's a lesson I've learned from baking this cake! Unfortunately I learned it too late.